A local police department warns neighbors and provides tips on Front Porch Forum. 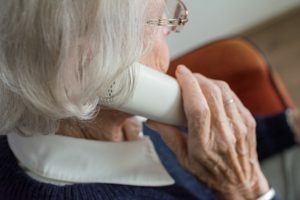 “We have received several calls from elderly citizens recently regarding fraudulent “robo calls” (recorded automated phone calls) from someone claiming the recipients of the calls have not paid their taxes. They threaten police action if a payment is not made immediately. Neither the Internal Revenue Service nor the Vermont Department of Taxes will make contact by phone and demand immediate payment for unpaid taxes. Local police, sheriff’s departments, and state police are not involved in enforcing payments of federal or state taxes. Share this info on your own FPF!